This cover photo is of Christopher Dorner w/ Chief William Bratton, who was recently hired for a few months of ‘consulting’ for the OPD by the city of Oakland, for $250,000. Bratton’s history includes implementing racial profiling in the form of what has recently been judged as the unconstitutional policy of ‘stop and frisk.’ He was also instrumental in making it appear that crime in NYC was down by manipulating data, and by manipulating reporting standards. Bratton’s policies were outed by NYPD officers, including Adrian Schoolcraft, who was abducted by NYPD officers and illegally detained and incarcerated in a mental institution, after having recorded NYPD rituals which included giving illegal orders to fulfill arrest quotas. Schoolcraft’s claims were validated. This manifesto is one more bit of evidence of Bratton’s legacy of unethical behavior, which follows him from New York City, through Los Angeles, to Oakland. 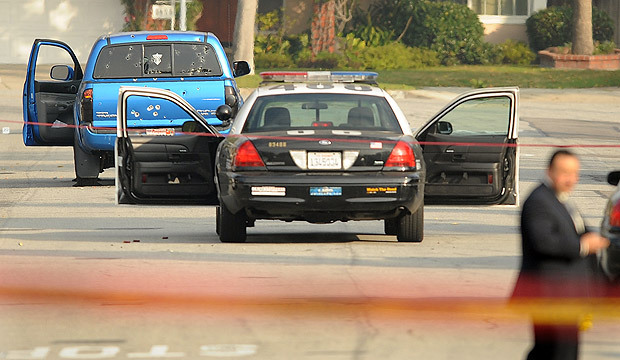 Dorner has clearly laid out a long series of events to describe the ongoing illegal actions by LAPD officers. 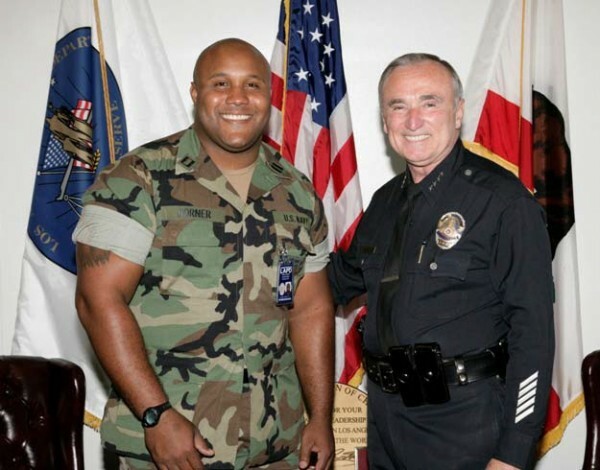 Dorner explains, having spent years attempting to do the right thing through the formal channels that should have congratulated him for being willing to shine a light on the truth of ongoing police misconduct and brutality, that he has been left with no other options. He explains the long history of LAPD going to great lengths to, with the help of Bill Bratton, steer around the requirements of the consent decree. 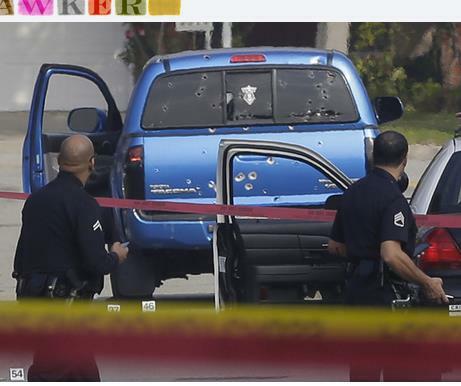 LAPD have already shot at least three people who happened to be driving similar trucks to the one they believed Dorner was driving. Dorner is on the run. He has named his intended targets. Below is his alleged manifesto. There is no way to confirm that he either crafted or published this himself. Even if he did, there is no way to confirm whether it was edited before being found by this author. I know most of you who personally know me are in disbelief to hear from media reports that I am suspected of committing such horrendous murders and have taken drastic and shocking actions in the last couple of days. You are saying to yourself that this is completely out of character of the man you knew who always wore a smile wherever he was seen. I know I will be villified by the LAPD and the media. Unfortunately, this is a necessary evil that I do not enjoy but must partake andcomplete for substantial change to occur within the LAPD and reclaim my name. The department has not changed since the Rampart and Rodney King days. It has gotten worse. The consent decree should never have been lifted. The only thing that has evolved from the consent decree is those officers involved in the Rampart scandal and Rodney King incidents have since promoted to supervisor, commanders, and command staff, and executive positions. Name; A word or set of words by which a person, animal, place, or thing is known, addressed, or referred to. Name Synonyms; reputation, title, appellation, denomination, repute. A name is more than just a noun, verb, or adjective. It’s your life, your legacy, your journey, sacrifices, and everything you’ve worked hard for every day of your life as and adolescent,young adult and adult. Don’t let anybody tarnish it when you know you’ve live up to your own set of ethics and personal ethos. This entry was posted in corruption, information, news, police brutality and tagged bill bratton, blue line, bratton, christopher dorner, christopher jordan dorner, manhunt, OakMtg, police brutality, police corruption, retaliation, thin blue line, william bratton on February 7, 2013 by wiseoldsnail.